Personal Loan vs Overdraft Account: Which is better? You can choose a personal loan or use the overdraft facility. When you opt for a personal loan, it is not secured against an asset like your home or your car, and hence it is also called as an unsecured loan. When you are in need of cash, the bank allows you two options. You can choose a personal loan or use the overdraft facility. 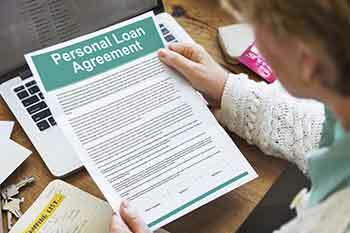 When you opt for a personal loan, it is not secured against an asset like your home or your car, and hence it is also called as an unsecured loan. If you choose the overdraft facility you can borrow money through your bank's current account. There is an upper limit to the money you can withdraw. In the case of a Personal Loan, you have to deal with a lot of paperwork. First off, you will need a decent CIBIL score to get your loan approved. Every time you need cash you will have to follow the same application process. Plus, you may get the money only after the loan is sanctioned. After you set up an Overdraft Account you can withdraw money within a couple of hours and/or definitely within one business day. You don’t have to repeatedly set up an overdraft account every time you need money. Personal loans don’t leave much room for flexibility. You have to pay a fixed Equated Monthly Instalment (EMI) for the duration of the tenure and the payments also have to be timely. For many people, this could be a problem, especially for individuals who have a varying income every month. Personal Overdraft allows you to take as much money as you need within the limits set for you. You can spread out the repayment as per your convenience. You can pay within days, weeks, or months- whatever suits you. Once you have taken a Personal Loan, the interest starts to accumulate immediately, even if you are not using the money at all. If you prepay the loan amount, you will also have to pay prepayment fees along with the principal and interest amount due till that time. In the case of Overdraft, you wouldn’t have to pay interest on money you haven’t withdrawn from the overdraft limit. With an overdraft, there is no problem with prepaying the amount there won’t be any additional charges for it. If you regularly take Personal loans and repay them, then your CIBIL score will fluctuate frequently. Events like cheque bounce can cause your score to drop, and if these are frequent, then you can also have a hard time obtaining loans or credit cards in the future. If you opt for an Overdraft Account, these hassles can be avoided. Under overdraft facility, you will have only one loan which you are regularly servicing. This might give a positive boost to your CIBIL Score. Overdrafts are more viable when compared to personal loans. When there is a possibility where you might need multiple personal loans it is better to choose an overdraft account. However, if you are going for just one loan which has a larger principal amount and pay back over a longer term then you should consider a Personal loan.